The Excoms are agents for the Committee. This unofficial organization is comprised of seven very rich individuals with a desire to use their money to correct injustices when they see them and when a majority vote agrees. The members are not officially known to each other and are codenamed by days of the week. They are run by a man known as the Administrator who really answers to "Monday", the man who came up with the idea of the Committee and went about enticing the others to join. Knowing that good intentions and lots of money would not in themselves get the job done, they agreed to put together a team of trained operatives to handle the dirty work. The team that was selected came from different areas of expertise though sometimes their skills overlapped a tad. What made these people more amenable to the offer of employment was that each had just recently encountered trouble that resulted, unfairly in a couple of cases and rather justifably in a couple, in each being quite out of favor in their field. In the parlance of the series, these people were in essense excommunicated, hence the term of Excoms. Ananke is the leader of the group, undesignated but true nevertheless. She is a black woman who earned her keep as an assassin working for the numerous alphabet intelligence agencies in the West. In addition to being extremely experienced and skilled in her line of work, she employs a computer genius named Shinji to help smooth the trails she walks. The mission that got her ousted was a simple one to slip a drug into a Filipino politician's drink to make him too sick to campaign. She got double-crossed by her employer. Dylan is an Irishman who made his living as a courier. He, too, was very good at his job and he always kept to the rule that the driver did not ask questions except where and when. 'What' was not important nor was 'why'. 'How much' was a valid query but in truth not as vital as one might think. 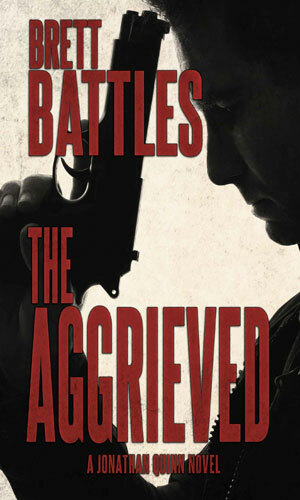 The job was what Brody enjoyed, up until someone decided he was a loose end that needed blowing up. Rosario is a thief. A very good one with skills learned growing up on the streets of Mexico before deciding the U.S. held better targets. To help her get into places she did not belong, she acquired an expertise in computers and electronics. Though not as good as Shinji, she was no slouch in the former and excellent in the latter. Liesel is a security expert specializing in keeping high-profile targets alive. For the past several years she has been the head of security for Wolf Casinos and the person bodyguard for the owner Hans Wolf. That employment ended when a very crafty but completely unhinged ex-lover of Wolf found a way to prove her devotion by killing him and then herself, and as a party gift to Liesel who had kept them apart, made her look like an accomplice. And finally there is Ricky Orbits. While the others undoubtedly have last names, they do not come up in the adventures very often while Ricky's does because he is extremely found of referring to himself in the third person, stating "Ricky Orbits this" and "Ricky Orbits that". To say that Ricky is full of himself is to be redundant. If one can ignore his ego and his false perception of his own charm, it is fair to say that Ricky is one of the best hunters in the business. His specialty is tracking and whether it is over rugged terrain or in a densely populated city, Ricky Orbits can find anyone (now he has me doing it!). Together they make up the team. Prior to the Administrator's unorthodox method of collecting them, the members had never met nor ever heard of each other, except in the case of Ananke and, to her great regret, a short period where she was very "close" to Ricky (before she found him in bed with two female friends he had just met). They would have to learn to trust each other and work well together and, as hard as it proves to be sometimes, not shoot Ricky Orbits no matter how annoying he gets. 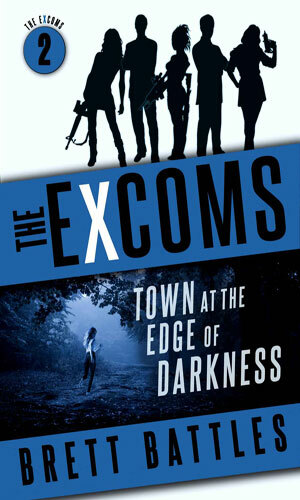 There are two books in the "official" Excoms series, The Excoms and Town at the Edge of Darkness. 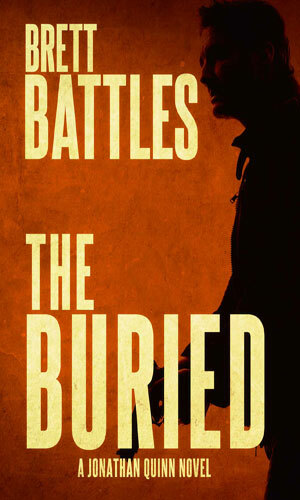 There are two other books in which some of the Excoms members appear working with Jonathan Quinn, The Buried and The Aggrieved. This is the 9th Jonathan Quinn full-length adventure but it also introduces us to Ananke. (It also brings us Ricky Orbits but nothing is perfect.) Ananke is handling an elimination for which Quinn is hired to clean up later but they make a discovery in the basement of the mansion of the target that will drastically change everything. 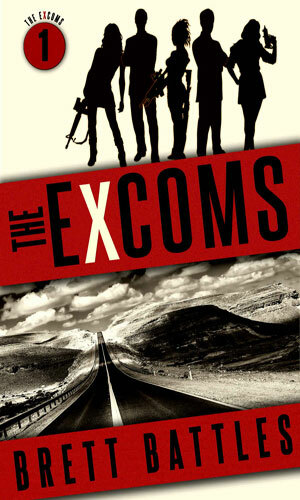 The five members of the Excoms are recruited by the Committee. For their first mission, they are sent to find and rescue a small contingent of kidnapped school kids, all members of an elite academy, That task alone would be challenging enough but someone with a great deal of power wants the mission to fail. This is the 11th Jonathan Quinn adventure in which Quinn and Orlando need help immediately. A call goes out to Ananke for any assistance she might give and responds without hesitation, taking Rosario, Liesel, and Dylan with her. The small town of Bradbury, striving to be a new tech center, has a nasty secret. Someone in authority is hosting hunting trips for the rich and depraved and the prey are people. When the CFO of a successful company in that community goes missing, an old friend and one somewhat connected to the Committee asks for help and the Excoms are sent to investigate. This is the third series of Brett Battles I have added to the compendium and I do so with considerable amount of pleasure and enjoyment. These two (so far) tales are filled with excitement and adventure and good humor (ignoring Ricky Orbitz) and each of the team is interesting and worth following. Neither of the missions they are involved in touch the world of espionage but considering the background of the leader, Ananke, and the far-reaching abilities of their new employer, the Committee, the group belongs here and are welcome members. The stories are very fast reads (or listens as was my case) and I smiled broadly when each ended having just spent several hours in the company of interesting, fun characters going up against some nasty individuals who need whuppin'.